Getting married near the boardwalk in New Jersey? Whether you are thinking the Atlantic City boardwalk, the wildwood boardwalk or any other boardwalk consider Allebach Photography. We are the choice of couples getting married in Cape May, Wildwood, Ocean City boardwalk weddings. So lets talk about this image for a second. Isn't this kid as cute as a button? 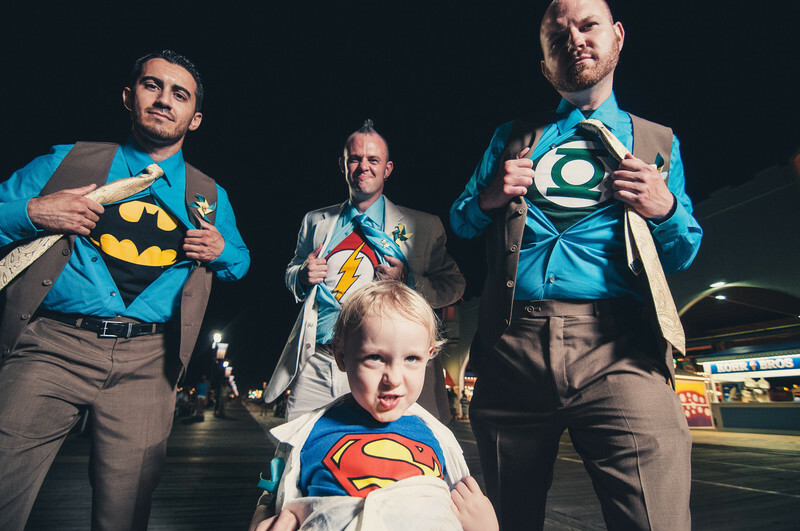 If you are thinking about adding superheros like superman or batman to your wedding look no further. We have tons of batman themed wedding photos...probably more batman wedding photos than you've ever seen.